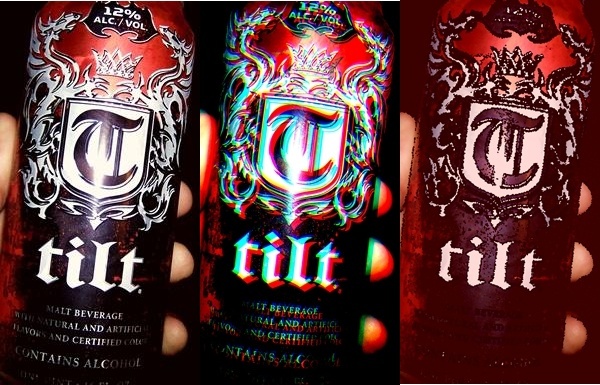 Tilt – the Malt Beverage of pinball? I happened upon Tilt Malt Beverage at the local liquor store, and well, anything with a sorta pinball theme and I just have to try it out – better judgment and all that be damned. So with a bag of Tapatio Ruffles, a cold can of Tilt and a bag of organic walnuts (yes, you can buy organic, local grown walnuts in a liquor store in California) I made my way to the register. At 16 ounces and 12% alcohol, Tilt packs the wallop of around your average 40 ounce bottle of King Cobra or Colt 45. In other words, if I manage to get through the whole thing I won’t be putting up any high scores on pinball games. I’ll be getting a high score on a breathalyzer. I cracked open the can and took a hearty swig. Wow. Tilt actually does have some “complexity”, as the wine people like to say, but unfortunately it’s the complexity of a Shirley Temple made with Dayquil instead of grenadine. It starts with a sweetness similar to those syrup filled chocolates, and then proceeds to simultaneously coat your whole mouth while turning tart, then sour, then like you just threw up a cherry popsicle. The bottom line on Tilt is it’s more than aptly named. I’m 3/4 through the can and my head has started to throb just above my right eye. I’m definitely really buzzed and I have no desire for more. It took me half an hour to write the last three sentences and my spell checker just resigned. Great description of Tilt. I lol’d. I am drinking one now, and REALLY wishing I wasn’t. I think it causes you to stumble and hit your head on the corner of the game more often! 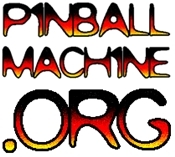 If you drink the Tilt while playing pinball does it cause you to tilt more often?